Paradigm Initiative has blamed African governments for using laws to stifle Internet freedom, reports ITREALMS. In the 2018 edition of the Digital Rights in Africa report by Paradigm Initiative released at the Internet Governance Forum in Paris on Tuesday, November 13, the organisation accused many African governments of rolling out legislation and policies which enforce privacy violations, infringements to freedom of expression, access restrictions and hurt other digital rights, a report has revealed. 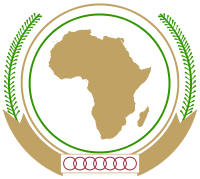 ITREALMS reports that the report entitled “Legislating Restriction: How African Governments Use Restrictive Laws,” is the third edition of the Digital Rights in Africa. In the Democratic Republic of Congo, Egypt, Morocco, Tanzania and beyond, governments have begun to roll out legislation and policies which enforce privacy violations, infringements to freedom of expression, access restrictions and hurt other digital rights. Director of Programmes of Paradigm Initiative, Tope Ogundipe, “Our 2018 Digital Rights in Africa Report takes a look at this trend across Africa and discusses the way forward for civil society as we continue in the fight for digital rights and freedoms on the continent”. This report highlights 8 countries across North, East, West and Central Africa where critical developments in the legal or policy space have conspired to hurt digital rights. These countries are Egypt, Morocco, Nigeria, and Benin. Others are Uganda, Tanzania, Cameroon, and the Democratic Republic of Congo. The 48-page report is published in English and French and is available for free download on the Paradigm Initiative’s website. The report also bemoans the role certain actions of China, Russia and the United States have impacted on rights in other rights in African countries. “The increasing influence of China and Russia in global affairs is definitely changing perceptions about the thresholds of what is acceptable or not in human rights standards. Even more so, it would seem many African countries have begun to borrow a leaf from repressive foreign governments’ playbooks for violating digital rights,” the report continued.